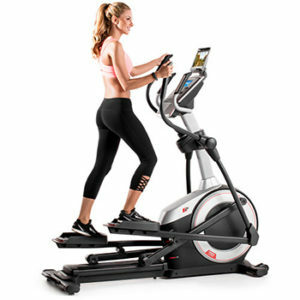 Fitness Equipment Source / Blog / Blog / LISS Cardio: The Next Big Thing in Fitness! LISS Cardio: The Next Big Thing in Fitness! 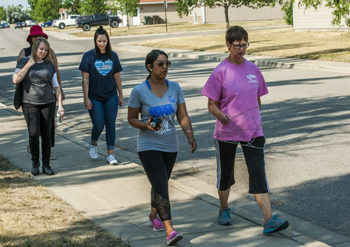 Whether you are new to exercising or you’re looking to change up your normal routine, LISS cardio may be just the ticket. Hang on… LISS? Yes, another acronym has stormed the world of fitness. Just like popular HIIT workouts, this new type of cardio can help you get better results. LISS, which stands for “low-intensity, steady-state,” is cardio exercise performed continuously for an extended period of time. If you hadn’t gathered from the name, this type of workout is going to be the opposite of the HIIT (high-intensity interval training) workouts that you may have read about or tried. As opposed to pushing yourself as hard as you can, LISS cardio is going to give your heart, lungs and muscles a bit of a break. You’ll get your blood pumping, without exerting the kind of energy that leaves you breathless. The two main factors that you need to remember when doing LISS cardio are the time that you are active and the heart rate that you maintain throughout. Make sure that your workout is at least 30 minutes and that your heart rate doesn’t exceed 60 percent of its maximum. 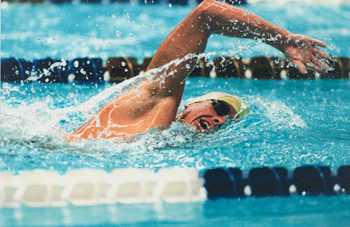 Swimming – You don’t need to swim as fast as you can until you’re exhausted to get a workout in the pool. Stay at a leisurely pace that will allow you to keep going the distance. Try out different strokes if you feel yourself getting bored. Cycling – Go for a bike ride around your neighborhood, city or local park. You aren’t competing in the Tour de France, so look around and enjoy the sights while you’re pedaling. Walking/Hiking – Get your workout in while checking things off your to-do list. Instead of driving to run your errands, use your legs and walk from place to place. If you have a four-legged friend, take them for a long morning walk and you’ll both get the exercise you need. Go for a hike and enjoy the great outdoors while you get your blood pumping. Since you don’t need to be pushing yourself you can actually enjoy your surroundings! Proform SmartStrider 895 – Read full review here. Elliptical – Whether you are at the gym or at home, an elliptical is a great way to do LISS cardio. Hop on your elliptical and go until you’ve reached your goal, or try these simple variations to keep it interesting. Half and half, as in half forward and half backward! Once you’ve reached half of your time, switch it up and pedal backwards for the other half. You’ll maintain your cardio benefits and work different muscle groups. Add some up and down to your session. Take advantage of the incline on your elliptical and do some little hills. After 5 minutes increase your incline by two, after 5 more minutes bring it back down to your starting point. Repeat this for the duration. It isn’t a huge increase so you won’t be over-exerting yourself, but it’ll give you a little variety. What are the Benefits of LISS Cardio? We have all heard the recommendation from The American Heart Association to get at least 30 minutes of cardiovascular exercise a day. This means LISS cardio is definitely meeting the mark for heart health. But there are several other benefits as well. Easy on the joints – Since LISS is a low-intensity workout you don’t need to worry about wear and tear on your joints and muscles. This makes it perfect for those that suffer from an injury or hip pain, but still want to get their exercise. ProForm Endurance 520 E – This is the lowest priced machine you’ll find on our recommended list. Fat Burning – Low-intensity exercise is actually great for burning fat! To metabolize fat, your body needs oxygen. LISS cardio keeps you from getting out of breath, so you have the oxygen you need to blast away fat. Think about that if you’re feeling your motivation slip. Every time you do your LISS cardio you are not only burning fat, you’re already setting yourself up for future progress! Longevity – With all of the exciting new trends in fitness that pop up every day, it’s easy to jump from one new thing to the next. The problem is that in order to see results, it really helps to stick to a routine. A study published in the Journal of Sports Science and Medicine measured participants’ enjoyment and adherence to three different workout programs of varying intensity. They found that participants in the low-intensity workout group enjoyed their workouts more than those in other groups. They also saw that those in the low-intensity group stuck with it longer than the others. How Often Should You Do LISS Workouts? You can do LISS cardio every day if you want, or you can incorporate it into your existing workout regimen. If you are new to exercise you can do LISS cardio everyday as you become stronger. Make sure to remember that your body adapts. As you make progress, keep challenging yourself. LISS cardio is also great to add in on your active recovery days if you are already following an exercise program. LISS cardio will help your body recover faster by boosting blood flow to your muscles in between your high-intensity workouts. This means you’ll still be reaping fitness benefits while performing active recovery. Low-intensity cardio exercise has been around for a long time and there’s a reason for that. Try out LISS cardio and see the benefits for yourself! 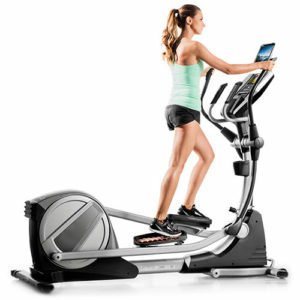 check out our top rated ellipticals here!